Get a Free Sample pack of Invati products which includes Invati Exfoliating Shampoo and Thinkening Conditioner. 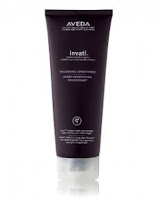 This certificate valid only at participating Aveda Salons or Stores and expires on Jun 30, 2013. In order to view this certificate you’ll need to have Adobe Acrobat Reader installed on your computer.